As a performer, Kyle has gained recognition as a well-rounded percussionist. 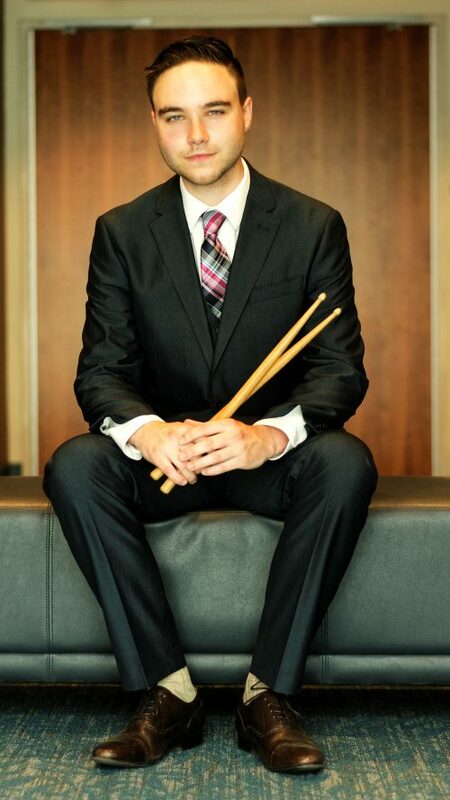 He has been a featured soloist with the Eastman Percussion Ensemble and held principal percussion positions in both the Eastman Philharmonic and the Eastman Wind Ensemble. In addition, he has been feature soloist with the Crane Symphony Orchestra and Crane Wind Ensemble. He frequently plays with the Orchestra of Northern New York as guest principal and the New York Wind Symphony. As a chamber musician, Kyle is a member of the Morizio/Peters Duo performing and commissioning new works for percussion and saxophone. He also served as a guest percussionist at the Skaneateles Music Festival. Kyle is a Yamaha/Sabian performing artist.